CUSTOM TARPS SINCE 1938. 390 Portage Blvd. The Quick Draw tarpaulin system is weatherproof. No more tarps to throw or bungees to connect. The system is safe and effortless. 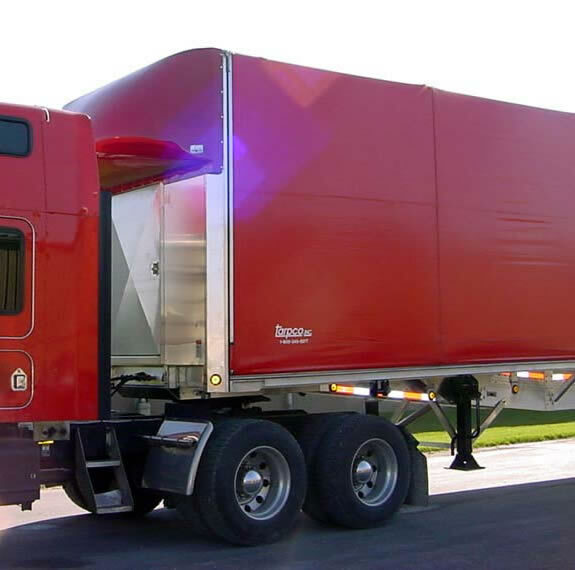 This system will save you time and money and will keep your operators on the road. 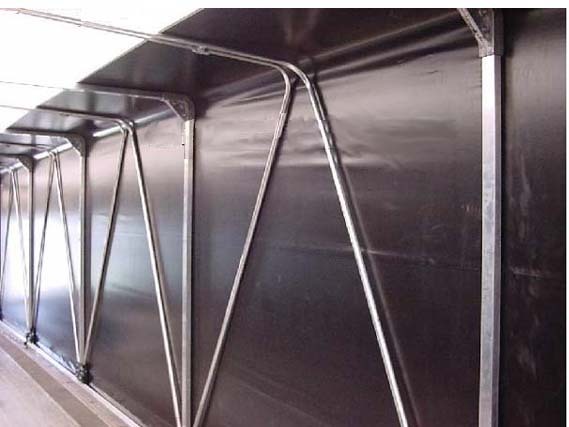 The Quick Draw system is composed of a durable, high quality, extruded aluminum framework, combined with die cast bolted connections. 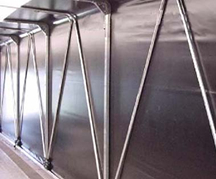 Virtually all components are replaceable in the field without the need of welding tools. 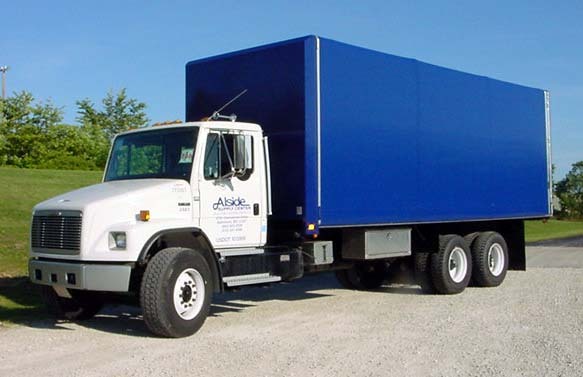 All parts are standardized, interchangeable, and always in stock making service work fast and simple. 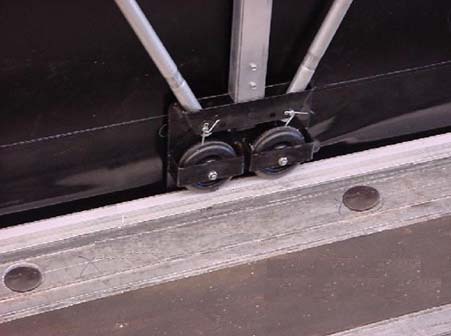 The front of the Quick Draw system can be opened easily and quickly in a one step process of inserting the provided winch bar in the "quick release" slot and giving it a single, effortless push. 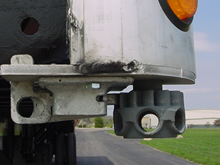 A ratchet winch at each front corner allows the front bow to be sealed tightly against the headboard when closed. All of this can be done from the ground. Our patented 4" aluminum track design is equiped with a built in track guard and a tough UHMW insert, improving the movement of the wheel carrier and saving the track against unneccessary wear and ruts. 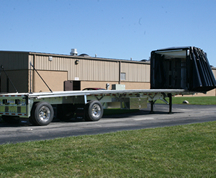 We use 4" top-rolling greaseable wheels, the largest in the industry. 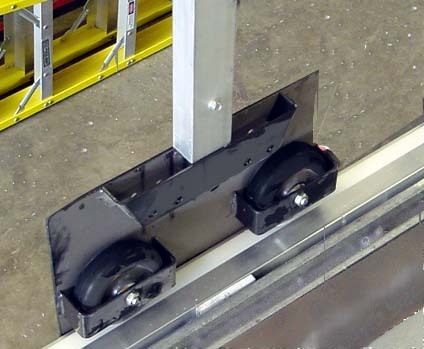 The larger the wheels, the easier they roll, thus putting less strain on the operator. 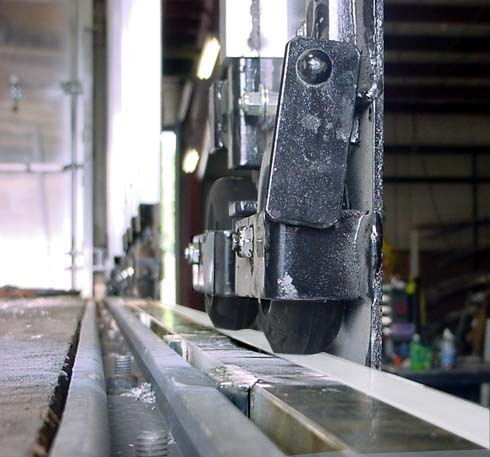 Binding does not occur because the wheels roll on top of the UHMW; any debris can be swept away easily. 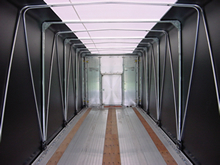 Our Quick Draw systems all come with a standard 1 year front to back warranty. 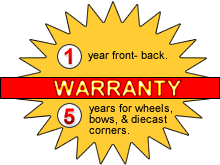 The 4" top rolling wheels (including bearings), intermediate bows, and die cast corners are covered with an exclusive 5 year warranty. 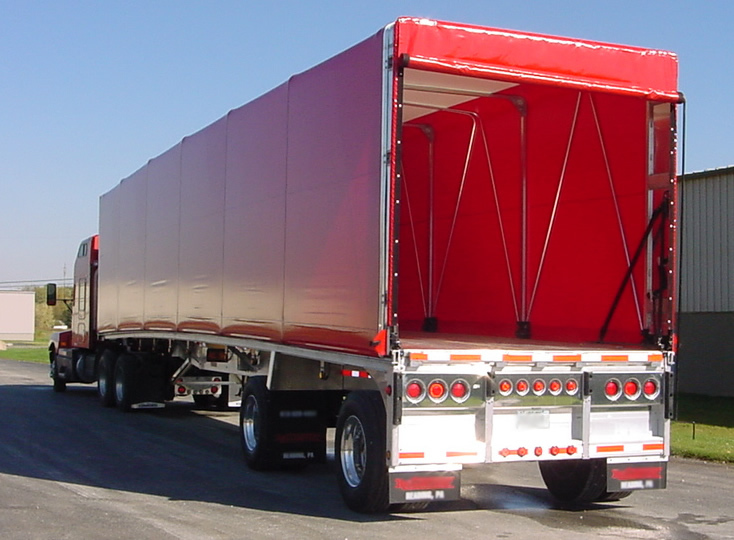 Tarpco exclusively offers a 3, 6, 9, and 12 month inspection and free adjustment of your system to ensure smooth operation for many years to come. 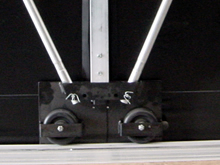 This system can accommodate numerous tie-down methods without sacrificing its weatherproof design. 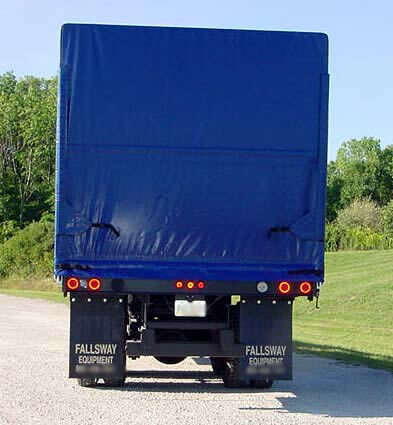 Your existing tie-down methods can be passed through the pockets without disturbing the tarp system. The bottoms of the pockets are covered with a weather seal to keep the load dry and clean. Tightly stretched tarps are proven to last longer. 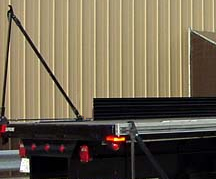 Quick Draw offers the only system that allows the operator to continuously keep tarps tight over the years. 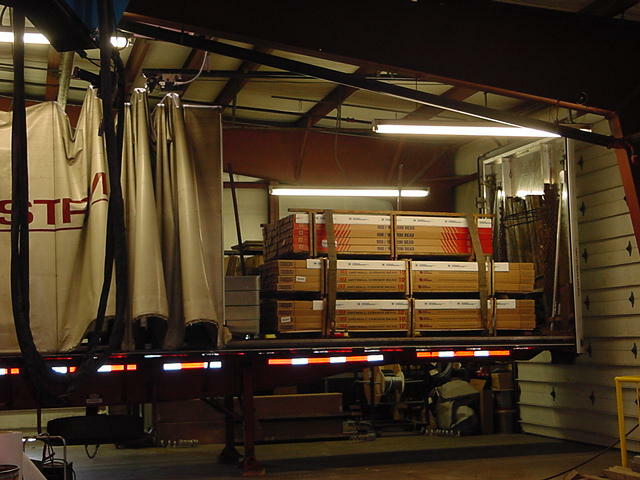 The removable rear adjustment bow sits at the very end of the bed and it can always be adjusted to the same point without compromising tarp tightness regardless of the load or the trailer. No bungee cords, no cables. 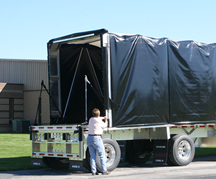 As the tarp system is tightened, the Quick Draw system will automatically seal creating a weatherproof barrier without the added inconvenience of bungee cords and without an abrasive cable system that can wear out the tarp. 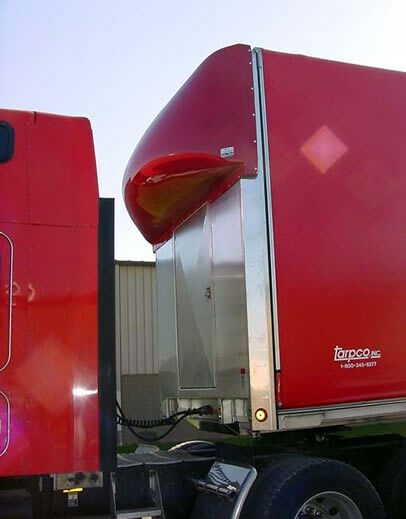 This system is completely operated from the ground, greatly reducing the chances of injuries. 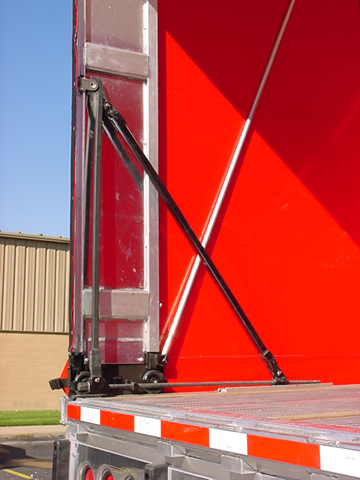 There are no awkward posts to remove or cumbersome ratchet straps to undo. 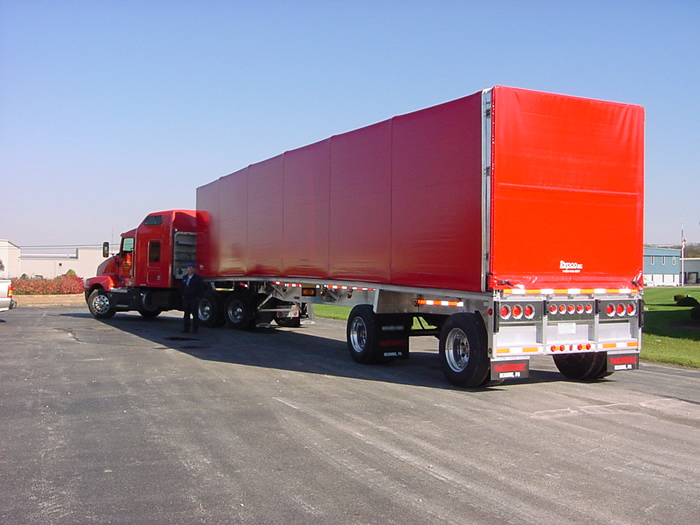 © 2008-2014 Tarpco. | This page rendered in 0.00748 seconds.